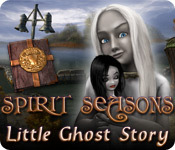 Spirit Seasons: Little Ghost Story is rated 3.5 out of 5 by 34. Rated 5 out of 5 by MEnr56 from MY KIND OF GAME I thoroughly enjoyed playing this game because of the fact that I could use the inventory items almost as soon as they were received and through the comments and/or hint system was able to figure out what to do and where to go to do it. I only needed the usage of the walkthrough once (towards the end of the game) as to where to use one of the inventory items (to be honest, it still makes no sense) instead of having to refer to said walkthrough time and time again as I normally have to do when playing other games. Rated 5 out of 5 by 186FleetStreet from Cute game. This game was short but fun. I liked that there were two possible endings. The puzzles weren't as hard as in some other games I've played. Rated 5 out of 5 by pcpat923 from 5 Stars of Delightful Gaming! This is delightful, humorous HOG adventure type gaming. 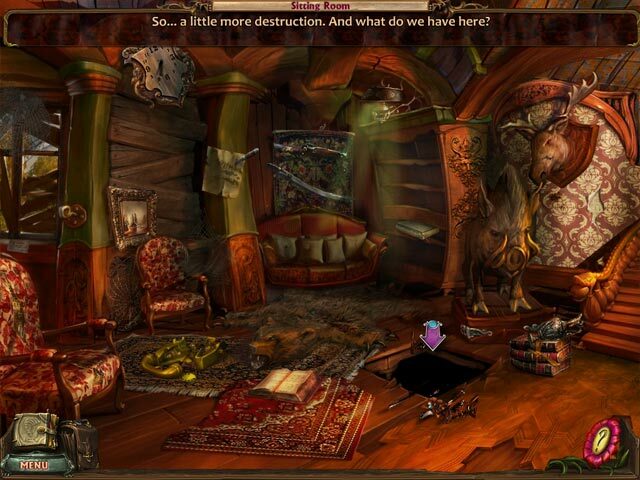 Complete a variety of fun puzzles and HO's to progress through game and storyline. You have no clue an adventure awaits when your car breaks down in front of an old house 80 miles from town. Scenes are bright and clear and gamers feels comfortable with story's unfolding. Lots of detail and hard work went into this refreshing, well organized little masterpiece. A purchase for me! Enjoy! Rated 5 out of 5 by azenalyn from Short but Sweet! This is probably the shortest game I have played so far. The music is pleasant and non-obtrusive. The story ending was quite interesting. Graphics were good but there were a few items in the 'dark' that I had to have help with but overall very clear. There is no back and forth to find items which I love. Since I purchased this game as a daily deal, I was very happy with it. Rated 5 out of 5 by alanbj from Great Game!!!! My husband and I played it separately, to see who could come up with the correct ending, and..... we were both wrong!!! Now we are playing it again to see a differant ending. Good fun for the price!!!! Rated 4 out of 5 by grunny50 from Almost very good! Well, ESL dialog, but you can get past that. Pretty strange graphics at times and kind of cartoony, but that's no problem. Eerie story and music, and a few very simple puzzles, help make this a funky little sleeper game. At times, I'm in the mood for this game and I play it over again. Other times, not so much. Am I glad I bought it? I think so. Rated 4 out of 5 by usfreedom from Great game Although not a real great game, it's good enough for most players who love HOGs. As a real-life ghost hunter, I found the story really interesting. This is the fist game I can remember where you have a choice of endings! Rated 4 out of 5 by Hookedonbigfish from Two for the price of one This game had a choice of two modes - casual and expert and it also had the choice of two endings. I chose to play the casual mode first and obviously chose the wrong ending so I went back and played it again in expert mode and chose the other ending. In choosing the mode to play is up to the individual and it tells you the differences before selecting. Had I chose the expert mode first it would have been a lot harder, more hidden objects in harder places, harder puzzles and no sparkles to indicate tasks. Having played the casual mode first I knew what was coming, where to look for it and how to get there so it was a bit easier. Having said all that the game started like so many others, car breaks down in front of old run-down mansion, door opened by an unsavoury character etc, but it developed well with a few quirky twists and descisions to be made and held my interest right through. The ghost of a little girl who is haunting the mansion has a different tale to tell than the crusty old butler who is being held against his will. The truth had to be sought and the ending selected. The dialogue I suppose was mostly needed in the progression of the game but there were a lot of notes, letters, cuttings and snippets of books to wade through as well. The music was macabre and eerie but was not intrisive. 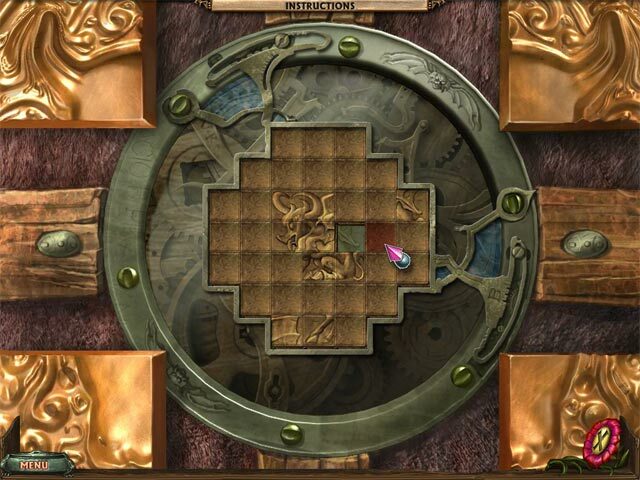 The graphics were cleanly defined, well drawn and colourful and this enabled the hidden objects to be found quite easily with just an occasional hint required. The puzzles were not too difficult in the casual mode but increased in difficulty in the expert mode. 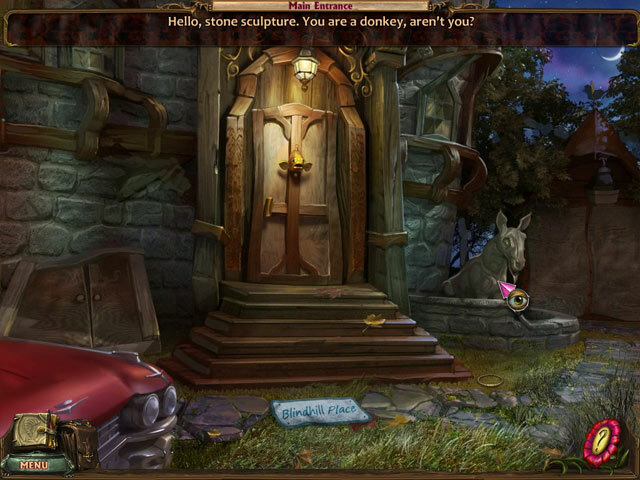 To sum up, a good solid game, plenty to do, plenty places to go and plenty hidden object scenes. In two words..plenty good. Rated 4 out of 5 by tookat from a rather short but fun experience never the less. First off, what I really loved about the game other than the slightly tongue in cheek commentary and the good graphics were the storyline and the double ending! The story actually asks you to make the moral choice as to whom to believe and reward! Yup....a bonafide double ending that means you have to play the game twice to get each ending. I played the first time on casual, second on expert, which made playing the game twice more worthwhile. The mini puzzles of which there are IMHO too few were very easy on the Casual and the HoGs mildly challenging for someone with poor eyesight....but they have a preview of the items on Playing the expert level, the minigames were more fun for me, and I usually play casual, I found the lack of sparkles to be no problem and the HoGs had a lot more objects to look for, with the bonus of almost entirely different items! Childs game? Maybe, but the tale made it interesting for this adult.....and I enjoyed having a less challenging game experience after playing several tougher ones.